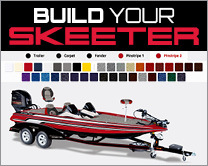 2019 Skeeter Solera 205 Boat Builder || Customize Your New Skeeter Boat! Fish or Ski the Solera 205 can do it all. At just over 20' long the 205 is a family fun machine that comes loaded with standard features from bow to stern. You and your family will enjoy a spacious cockpit area with seating for up to 6 people. You can quickly setup the ski tow pylon to give the kids some excitement on the water and the bow cushions provide comfortale place to relax and soak up the sun. Whether fishing, tubing, or cruising, the multi-purpose design of the Solera 205 won't disappoint. Photos may reflect product with optional features. Photos are used to represent coloring only. *NAP, is the Price shown in US Dollars. *Prices, dimensions, capacities, ratings, specifications, features and options are subject to change. *Skeeter reserves the right to make changes without notification or obligation. *Price reflects manufacturer’s advertised price (NAP) and does not include dealer prep, freight, taxes, registration and licenses.Base price does not include optional equipment ordered and installed by the dealer. 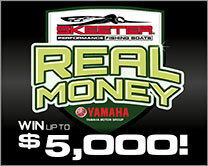 Dealer retains Skeeter Seasonal Incentive.Boat may be shown with optional equipment not included in sale price. *Actual dealer price may vary. 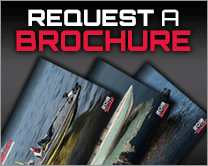 See your authorized Skeeter dealer for more details including tax, title, prep, and destination charges. All prices shown in U.S. Dollars. ©2018 Skeeter Products, Inc. All rights reserved. This document contains many of Skeeter’s valuable trademarks. It may also contain trademarks belonging to other companies. Any references to other companies or their products are for identification purposes only, and are not intended to be an endorsement. Due to Skeeter’s ongoing commitment to product improvement, we reserve the right to change without notice, equipment, materials, or specifications. Remember to observe all applicable boating laws. Never drink and drive. Dress properly with a USCG approved flotation device and protective gear. 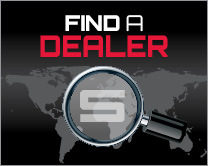 +Nationally Advertised Price; actual sales price determined by dealer. -Manufacturer’s Suggested Retail Price (MSRP). Prices may vary due to supply, location, freight etc. Actual prices are set by the dealer.